If you visit North Korea, you must be on an organised tour. 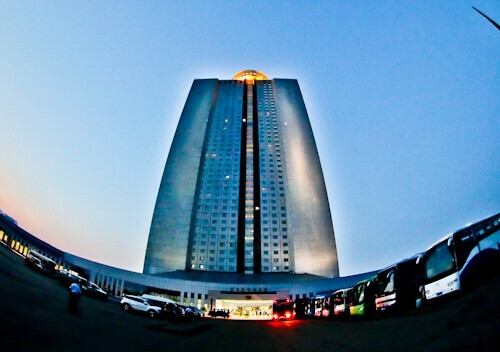 You can request this Pyongyang hotel to be the base for your tour. 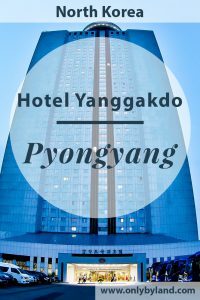 Hotel Yanggakdo is located on Yanggakdo island in the center of the Taedong river which runs through Pyongyang. 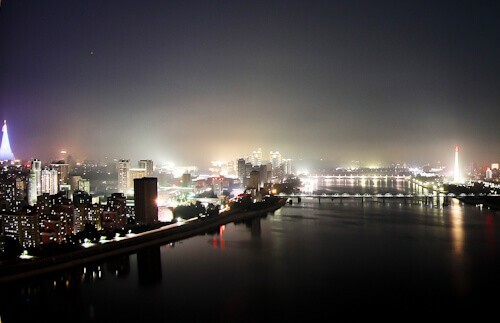 From the rooftop and perhaps from your room are panoramic views and several of the points of interest of Pyongyang are visible. Yanggakdo island is also home to the huge Yanggakdo Stadium. 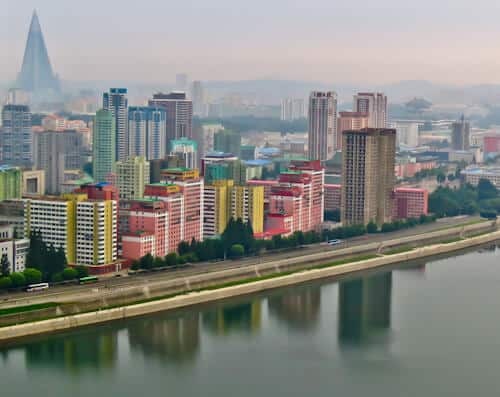 Unfortunately, you’re not permitted to explore Pyongyang alone therefore you must stay in the hotel grounds unless accompanied by an official guide. The lobby of the Yanggakdo Hotel is elegant. The North Korean leaders want to show the best of their country to visiting guests. As you’ll be part of a tour it’s unlikely you will visit reception. 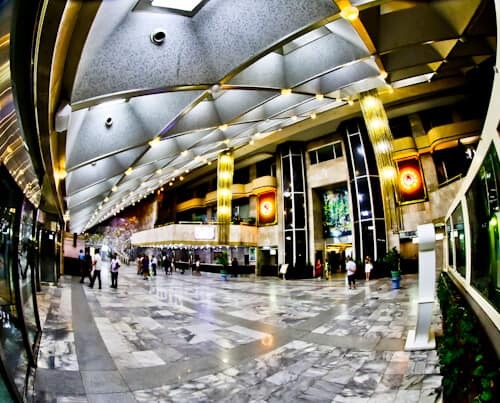 The elegant lobby however is a popular meeting place for the various tour groups. Additionally, it’s from here you can take one of the 8 elevators up to 47 floors of over 1000 guest rooms. 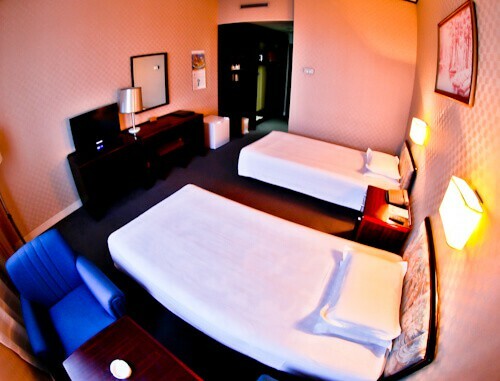 Guest rooms are clean, cozy and well maintained. There is no access to internet or WiFi in North Korea or in the hotel. Furthermore, the flat screen TV has a selection of 3 TV channels. 2 government channels and an international channel, Al Jazeera international. I would recommend a hotel room on a higher floor as there’ll be a better view over Pyongyang. The windows of the hotel room open so you can take clear panoramic pictures of Pyongyang from the room. Additionally, the clean en-suite room has a bath, shower, towels as well as basic amenities. Is there hot water in a North Korean hotel? The answer is yes! Another question you may ask is, which plug can I use? There is a universal adaptor and both US and European style plugs fit. My room was located on the 37th floor and this was the panoramic I could take of the Pyongyang skyline. Pyongyang receives quite a lot of pollution from China, as a result, some days are clearer than others. In addition, you can take the elevator to a high floor and the windows either side of it fully open and you can take a clear picture. Unfortunately, the view from the revolving restaurant is distorted because of the angle of the glass as well as the clarity of it. 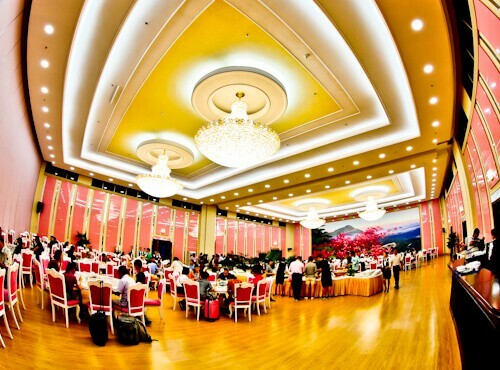 The complimentary buffet breakfast is served in a bright pink hall decorated with grand chandeliers. A fun fact is that there is actually an identical pink hall alongside this one. For this reason, when the hall is full, the second one will open and you’ll be directed in there. You’ll be welcomed to the buffet breakfast by women dressed in bright Korean dress. They are happy to take photos or selfies with you! The buffet breakfast consists mostly of asian cuisine which makes sense as the majority of the guests are Asian. There is a good selection of meats, fresh bread, rice as well as a useful egg station. To drink, there is tea, coffee, water or brown sugar juice. It’s worth saying that the food is good quality, much better than I expected. 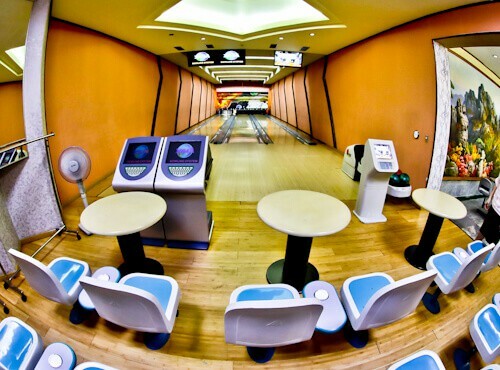 Have you ever stayed in a hotel with its own ten pin bowling lanes? As you explore the Yanggakdo International hotel underground there are quite a few interesting entertainment options. The bowling lanes are surprisingly well kept and include digital scoring. If ten pin bowling is not your thing, maybe a game of pool is. 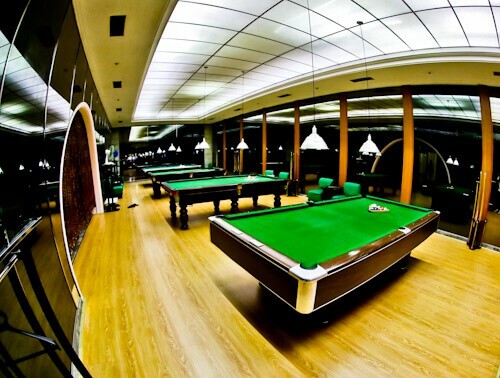 The elegant billiards room is located alongside an elegant bar. As you’re not permitted to leave the hotel without a guide, this will help pass away a little time when your guide is away. 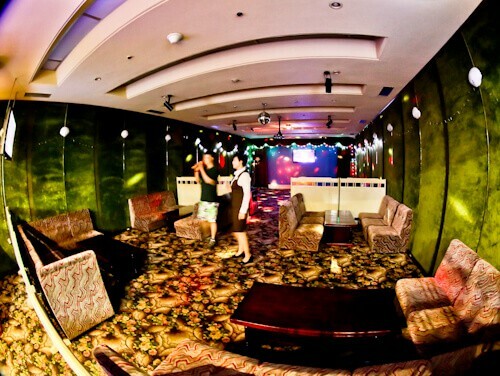 The karaoke room is a place which the Japanese guests will love! For westerners, I’m not sure if they have much selection of music to choose from. When I was speaking to my guide she hadn’t heard of any of the famous western artists. However, she had heard of Michael Jackson but was surprised to hear he had died several years ago. She did say that she knew western music, just not the name of the artists so there may be a few songs to sing along to! I doubt you’ll be able to perform the Gangnam Style in here either! 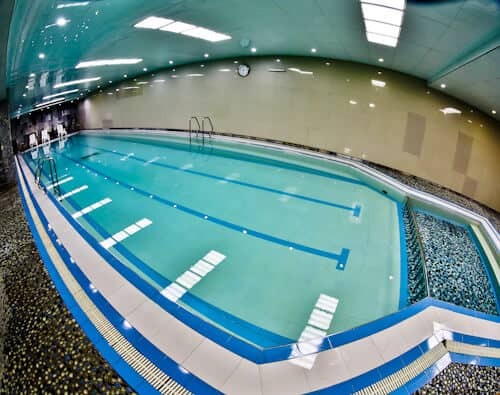 The swimming pool is large and well maintained. It’s a strange feeling going for a swim underground one of the tallest buildings of Pyongyang, North Korea. Additionally, in this area is a private massage option. As you’re not permitted to leave the hotel, you’ll be pleased to know that there are 3-4 supermarkets and souvenir stores located around the lobby. It’s also forbidden to carry local North Korean Won so I recommend bringing Chinese Yuan. When you take your flight to Pyongyang from China, I recommend obtaining some Chinese Yuan. Furthermore, there are no ATM machines in North Korea. I believe they also accept US Dollars and Euros but they gave me the price in Yuan first. A small bottle of water cost me 2 Yuan which is a very fair price. Your tour guide will also take you to stores in Pyongyang, maybe even to the biggest shopping mall in Pyongyang. As you’re forbidden to use local currency, there’s no chance you’ll pay local prices. 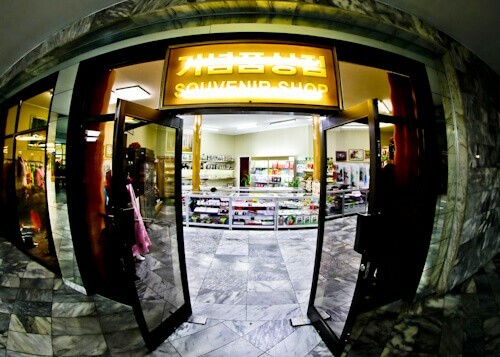 As a result, the stores in the hotel are not much different to the stores in Pyongyang that you’re taken to. Still, it’s worth shopping around! 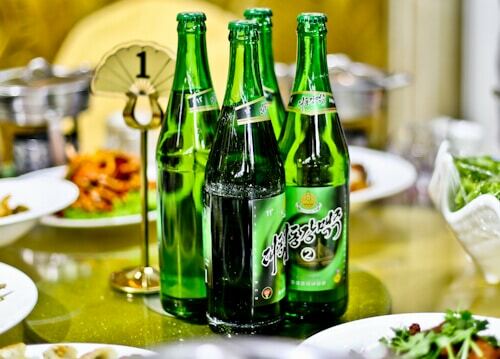 One thing you must do is sample the North Korean beer. There are 3-4 different brands so there’s plenty of sampling to be done! There’s no better place to do this than in the revolving restaurant on the 47th floor. In addition to the beer, you may wish to try a few of the local North Korean dishes. A typical dish from North Korea is cold noodles! From the 360 degree revolving rooftop restaurant there are excellent panoramic views over Pyongyang. It’s interesting looking over the city trying to puzzle out which point of interest is which. A prominent part of the Pyongyang skyline is the Ryugyong Hotel. This Pyongyang hotel is the tallest building in North Korea and also the tallest unfinished building in the world! At night it is lit up beautifully. As I mentioned earlier, to photograph the skyline, you’re better off descending a few floors and opening the windows near the elevator. This will ensure you can take a good clear picture. Enjoy your Pyongyang hotel experience. 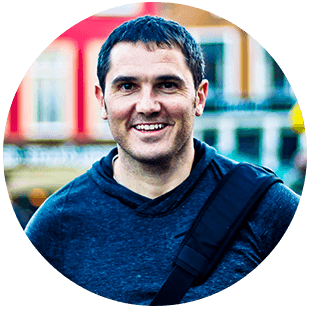 One important note, do not sneak into staff areas or leave the hotel without your guide. This is against the law in North Korea and punishment can be fierce! If you do have an urge to go out, be sure to call your guide first, they’ll arrange something for you. Things to do in Pyongyang + how to photograph soldiers and police. 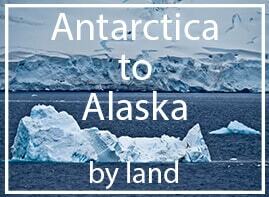 Is it possible to go for a short run around the island? How big are the hotel grounds and area where you are allowed to go without the guides? Hi Mike. In the first picture I share under location, you can just about make out the size of the car park with the buses parked. Behind me is a 250 metre long road which leads to the Yanggakdo Stadium. My guide said I could go down this road but double check with yours. You can’t get behind the hotel and I doubt you run behind the stadium. There was a Chinese guy on the tour who walked all the way to Pyongyang train station. He said no-one saw him or followed him but when he came back to his room the Chinese speaking guide called him and told him off. I asked my guide what would happen if I went to the train station. She just reminded me that my country doesn’t have an embassy in North Korea.